Tiffany's Online Finds and Deals: Awesome prices on Rubbermaid FastTrack garage cabinets! 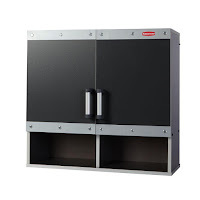 Awesome prices on Rubbermaid FastTrack garage cabinets! 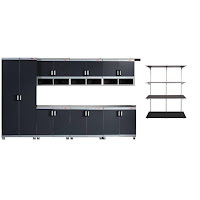 Home Depot currently has these Rubbermaid FastTrack garage cabinets at 30% OFF. The Rubbermaid FastTrack 30 in. 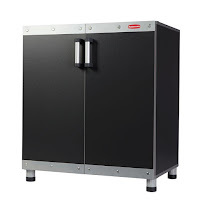 Garage Base Cabinet offers you a great storage cabinet for your garage area. This cabinet features 1 adjustable shelf to help you store and organize various items. It has a load capacity of up to 150 lbs. The Rubbermaid FastTrack 30 in. x 12-2/3 in. 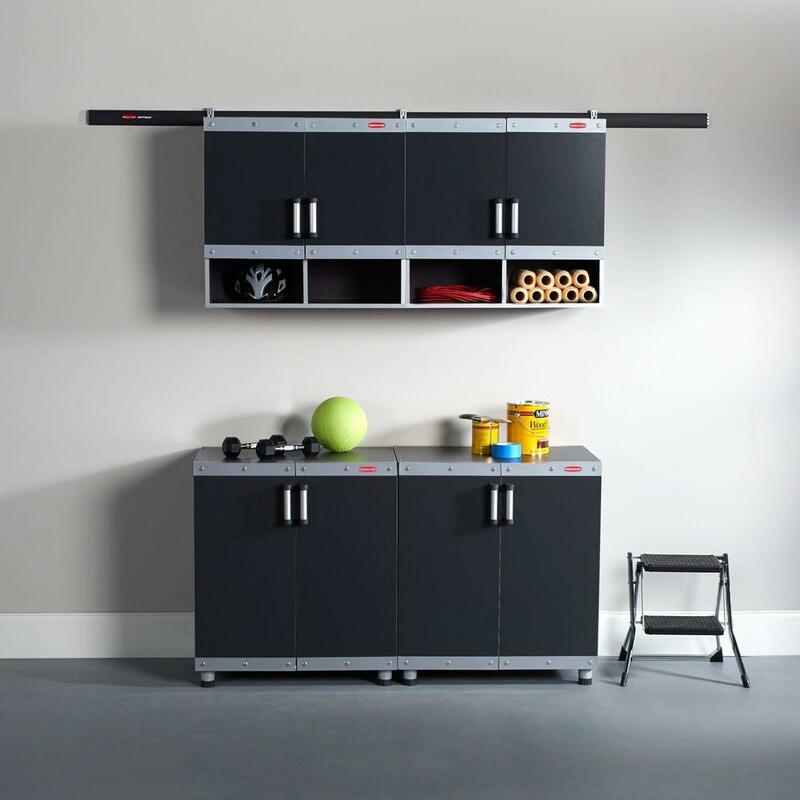 Wall Cabinet offers ample storage space for the garage wall, ideal for reserving floor space for more important items. The cabinet features adjustable doors with a nice sleek black finish. The wall cabinet can be mounted either directly to the wall or can be hung from the Rubbermaid FastTrack rail. Hanging the cabinet from the rail allows for a hassle free and time saving install. 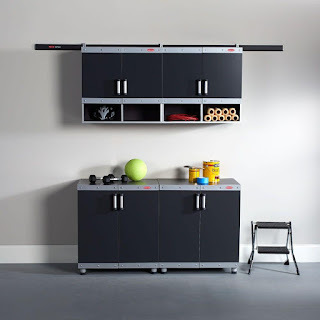 Use your entire garage wall - not just the studs - with the Rubbermaid FastTrack garage storage system. This unique system lets you create ten times more storage than simply screwing hooks into the studs, making it easy to build the exact system you need - and with additional components that simply snap into place, the possible configurations are endless. 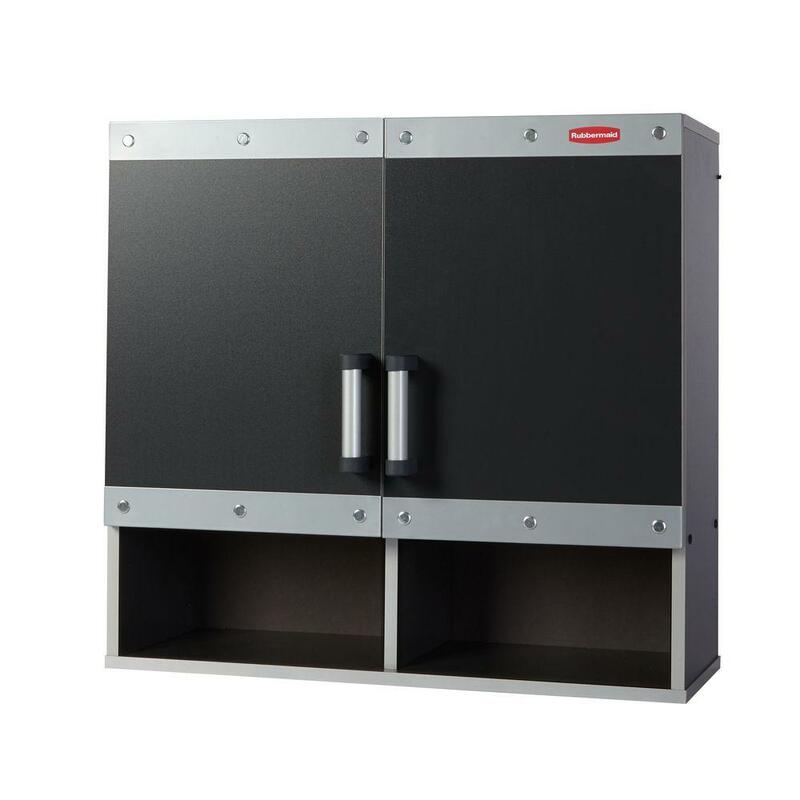 This system features powder-coated metal plates to help prevent damage, heavy-duty hardware, leveling feet and adjustable shelves. Just one person can install it easily in minutes using common household tools.